DB Plumbing - Central Heating Engineer, Plumber based in Horsham, West Sussex. DB Plumbing has been providing a full range of plumbing and heating installation and repair services to Horsham households for the last 20 years. Boiler installations/replacements/upgrades. Boiler servicing. Boiler repairs. Central Heating repairs. Central Heating controls. Unvented Cylinder installations. Unvented Cylinder repairs. Vented Cylinders. Radiators and TRV's. Towel rails. Gas pipework. Hot and Cold distribution pipework. Central Heating pipework. Waste pipework. Bathroom installations. Shower installations. Cloakroom installations. W.C.'s. Taps. Garden taps. Gas hobs. So if you're thinking of installing a new Bathroom suite or Boiler or have decided that that leaking tap or joint that has been annoying you for ages needs sorting out then give us a ring. Our customer's individual requirements are important to us at DB Plumbing. We always provide quality service and products and combined with honesty has made us the first choice of many homes in the Horsham area. 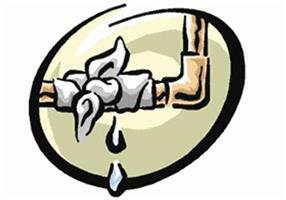 Remember, at DB Plumbing we use only the best materials, so if you need a plumber you can trust at sensible prices, call us!